Having spent more time outside of the U.S. than in it over the last 3 years, I’ve become accustomed to life without safety railings and liability waivers. If you’re crazy enough to hike along or stand atop a sheer cliff edge, then you should know that all could go terribly wrong and you’d have no one to blame but yourself. Or the person who knocks you over the edge when you stand too close. I much prefer this mindset to the overly-litigious and paternalistic restrictions of, respectively, the U.S. and Australia. Even on a crowded rock face 604 meters above a body of water. 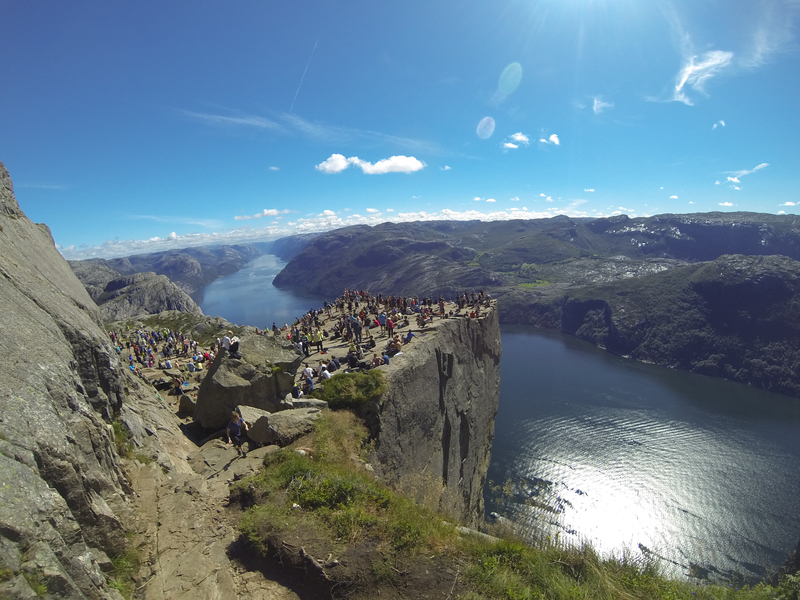 Preikestolen (Pulpit Rock) is one of Norway’s most visited natural tourist attractions and the day I visited, it felt like it. 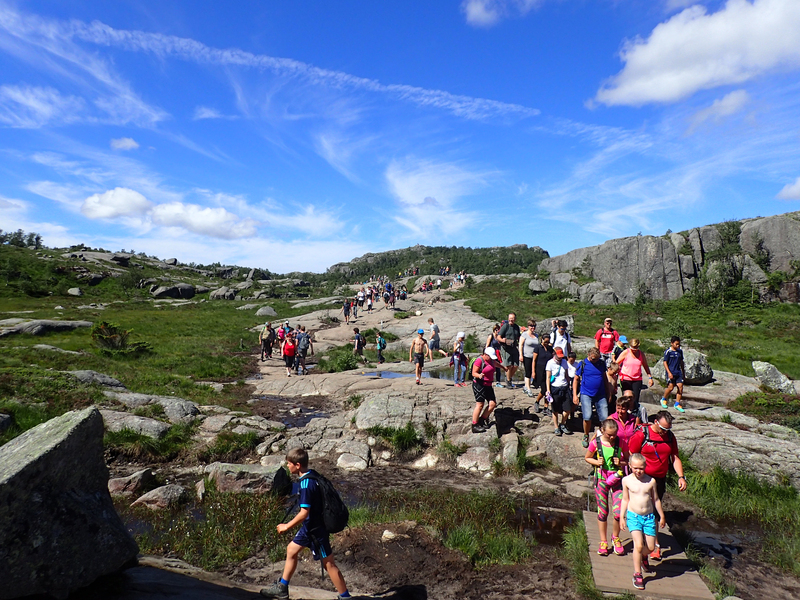 Crowds of people bunched together along the 5km path and the flat rock at the top was covered in tourists. 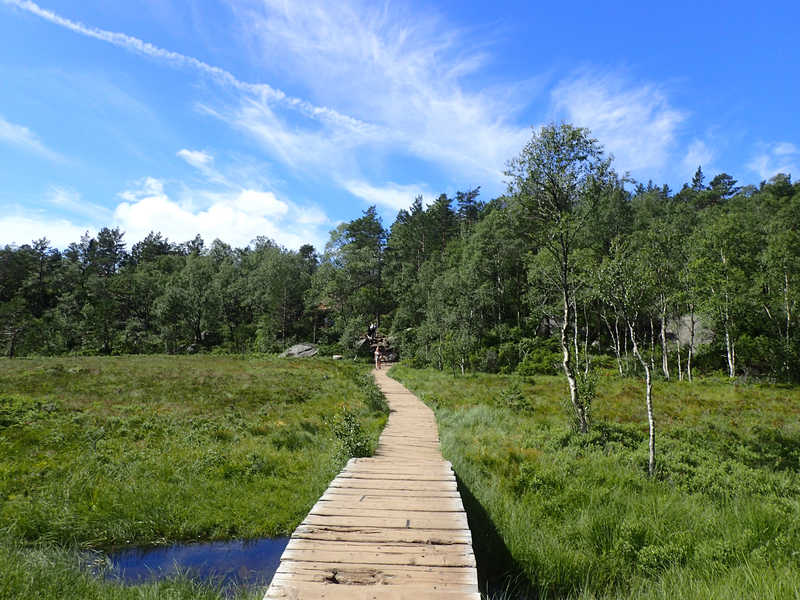 The path, partly handcrafted by Nepalese Sherpas, is well maintained and includes some lovely views and areas to rest. It’s referred to in the local literature as “demanding” but in dry weather, I think that description is a tad extreme. 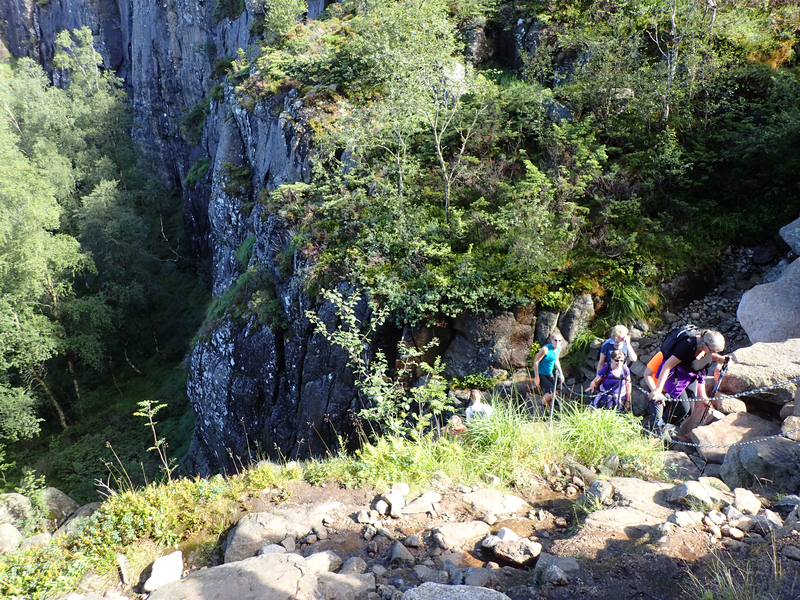 There’s an elevation gain of 334 meters over nearly 5 km. Some stretches are flat, others involve climbing up or down steps. I only recall one spot where I had to engage in a bit of rock scrambling. In rain or snow, it would be a slippery and yes, demanding, hike. On a sunny day in July with hundreds of other people slowing down progress, it was an easy stroll for someone in reasonable physical condition. At the top, some people lie down and look over the edge, some crawl to it, others walk straight to it. Many hand their cameras to others and ask for a photograph, some take selfies. Everywhere people sit and enjoy the view. For the ambitious, one can go above the flat ledge and look down upon it. My limbs are short and I knew that even if I got up higher than I did, coming down would be challenging and hazardous. So I walked only a few paces up to to get the photos that show the flat rock for which the hike is named. 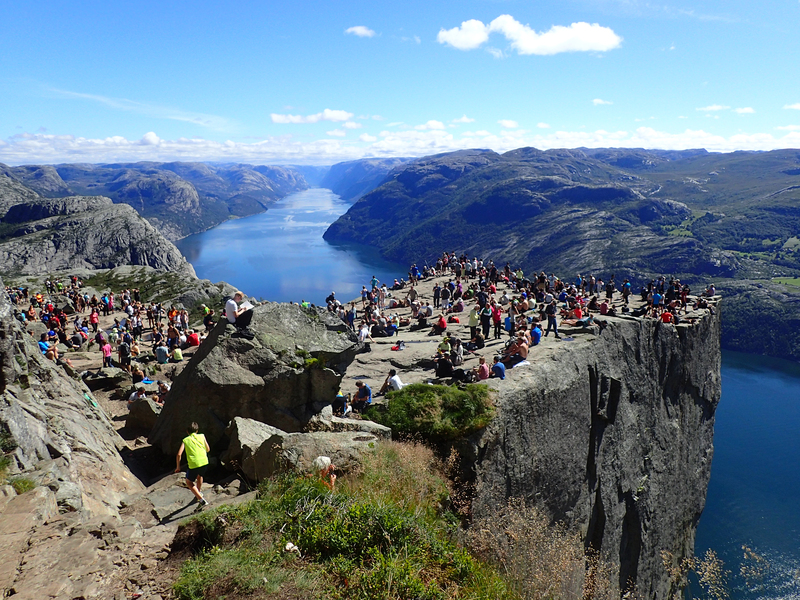 Despite the lack of railings or safety features, my research indicates that few people have gone over the side of Preikestolen. And it’s believed that all, save possibly for one, were suicides. From what I’ve read, the Norwegian government has concluded that a railing may create a false sense of security. Which would result in people climbing on barriers. Thus a “solution” could become an even bigger problem. There is also a stated recognition that safety barriers will detract from the beauty of the place. 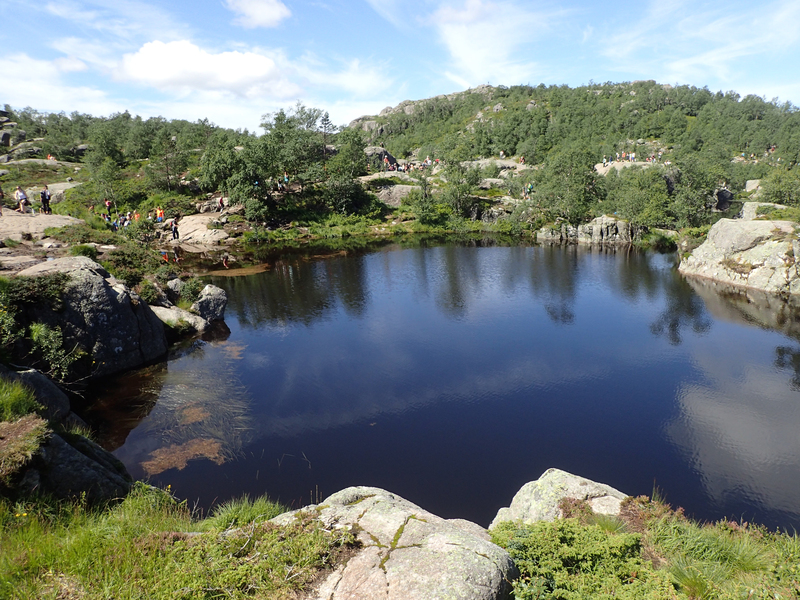 For recognizing the importance of natural beauty and entrusting people with their own lives, I tip my hat to the Norwegians and hope that Preikestolen remains railing-free. I don’t often call out individuals in my life on this blog but I feel compelled to thank my parents for something. 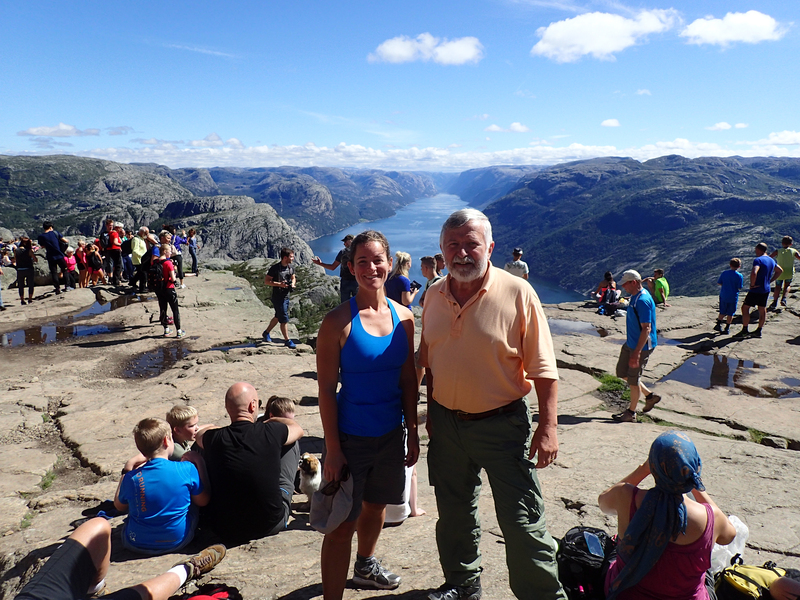 I wouldn’t have been in Norway were it not for them and climbing Preikestolen was my father’s idea. In his younger years, the man was incredibly active. He ran marathons, played lacrosse, rode bicycles for distances I can’t fathom, tore down ski slopes bouncing between moguls, played tennis … you get the idea. These days, his knees no longer allow him to do most of those things. Going down stairs or downhill is particularly hard given that in one of his knees, he has no ACL or meniscus. Although we moved slower than I would have on my own, we still made the trip up and down in the estimated 2 hours each way. I don’t know that I’d have the tolerance or strength to pull that off were my knees in his condition. My mother wasn’t interested in being on the edge of a cliff with a horde of sweaty people. So she took herself to an island covered in flowers where she was the only non-Norwegian visitor. When so many people are afraid to travel, especially in these times of global uncertainty, my parents continue to embrace it and explore the world in their own ways. They accept that taking calculated risks, feeling a bit uncomfortable or out-of-place, and sometimes dealing with a little pain is a fair price to pay for the chance to see our planet’s beauty. And to interact with people from cultures different to ours. I am incredibly grateful to them, not just for sharing their trip in Norway and Denmark with me, but for inspiring me to be as awesome as they are. You’re right, after weeks of rain, that one sunny day brought everyone out. Thank you for your patience and as the only male with long pants on that day; they did hide the two braces on my knees. Thank you for sharing your experience and view of such a beautiful location. I too am glad that the Norwegian gov. has decided NOT to put up fencing and ruin this natural beauty. Thank you again!! Very smart, those Norwegians! Thanks for checking in again, Abigail, it’s always lovely to hear from you! It sure was crowded the day you went! Lovely tribute to your parents at the last paragraph =) I too was thinking that I’m not keen to wait till my knees can’t hold me up further before I finally decide to hike natural beauties like this (I was hiking Preikestolen just few days ago and already found it fairly challenging especially when my legs are short, haha). Wonderful memories! Oh, how I know the challenges of having short legs. Such a nuisance when hiking and climbing but a benefit on airplanes. 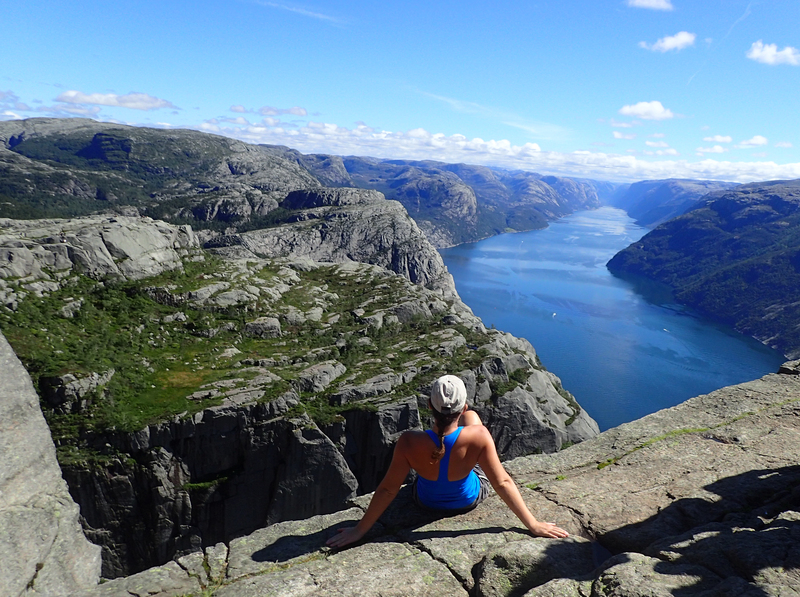 I hope you enjoyed Preikestolen as much as I did!